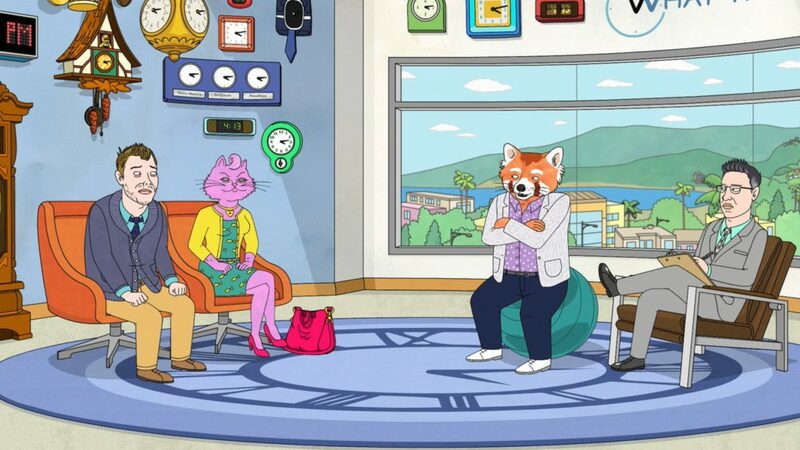 Dylan Hysen, Alex Bonilla, and Sam Quattro recap the Season 4 finale of BoJack Horseman, “What Time Is It Right Now”. Peanutbutter x Todd that is an interesting ship I never thought about. I don’t know if I ship anyone on this show, I don’t think anyone on this show can handle a relationship. But I am all for Bojack and Diane getting drunk and having a one night stand. Bojack is the type of show you ship one night stands, not relationships.